In the age of environmental responsibility, it comes as no surprise that an increasing number of restaurants are seeking new and innovative ways to reduce excessive waste output. 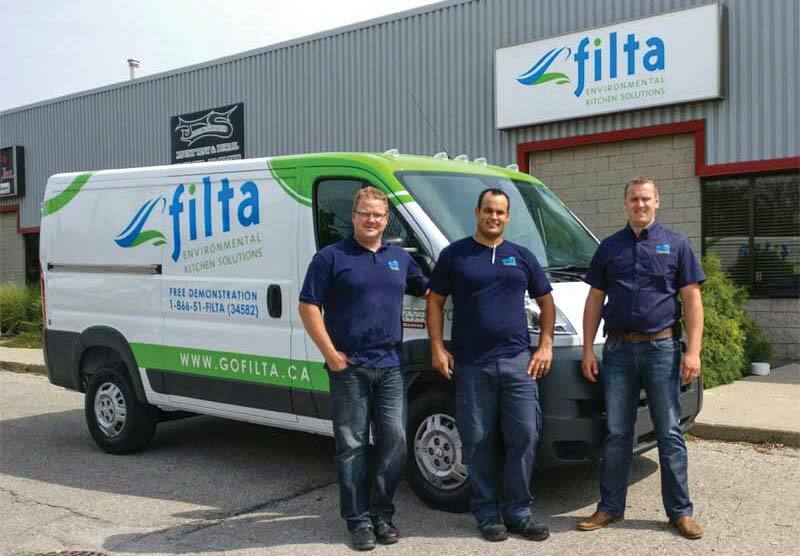 It was this growing need that inspired co-franchisees Daniel Overbeek and Marius Kerkhoff’s decision to bring U.S.-based Filta Environmental Kitchen Solutions to Canada. Founded in 1996, Filta aims to make commercial kitchens safer, more efficient, and environmentally sustainable by facilitating the reuse of cooking oil. 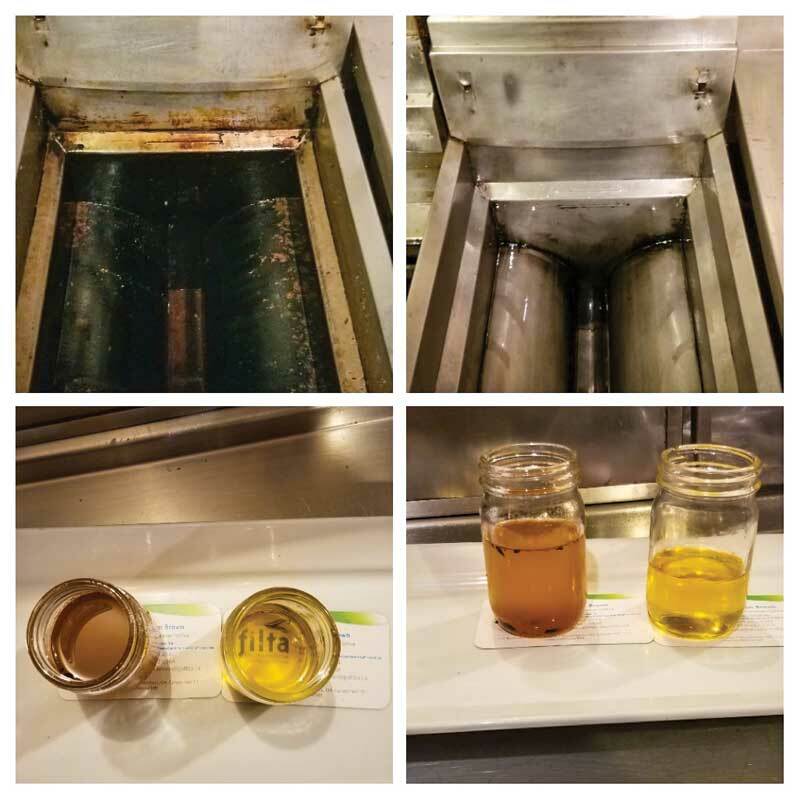 Using the company’s proprietary mobile filtration units (MFUs), technicians extract oil that may have otherwise been discarded from commercial fryers and micro-filter it to remove any impurities. The techs then perform a vacuum-based deep-cleaning of the fryer before returning the purified oil so it can be reused. When it can no longer be safely used for cooking, Filta removes the oil and recycles it. Filta technicians extract cooking oil from commercial fryers and micro-filter it to remove impurities. Kerkhoff came across the brand about a decade ago while researching interesting and unique franchising opportunities. Kerkhoff reached out to Filta’s head office, but the company hadn’t yet entered the Canadian market. “We took our time entering Canada as we wanted to identify a few unique franchisees that understood the local landscape and shared our passion for service and the environment,” says Tom Dunn, Filta’s COO. Kerkhoff persisted and, when the franchise system had everything in order and was ready to expand in Canada, he jumped at the opportunity. He and Overbeek met with members of Filta’s senior management team in Toronto and, from there, flew to the company’s head office in Orlando, Fla., where they were interviewed extensively to ensure their experience and knowledge was a good fit for the brand. The two attended a discovery day, where they were shown how the equipment works, and met with a local franchisee to learn more about the day-to-day operations. A year-and-a-half after introducing the business to the Woodstock area of southwestern Ontario, Kerkhoff and Overbeek have expanded from one truck to four and established a roster of more than 80 regular clients, including local Boston Pizza, Harvey’s, and East Side Mario’s restaurants. “With some experience now under our belt, our goal for 2019 and beyond is to identify growth-oriented franchisees in every major Canadian market to join the expanding Filta team,” says Dunn.